Bougainvillea Beach Resort has three pools. 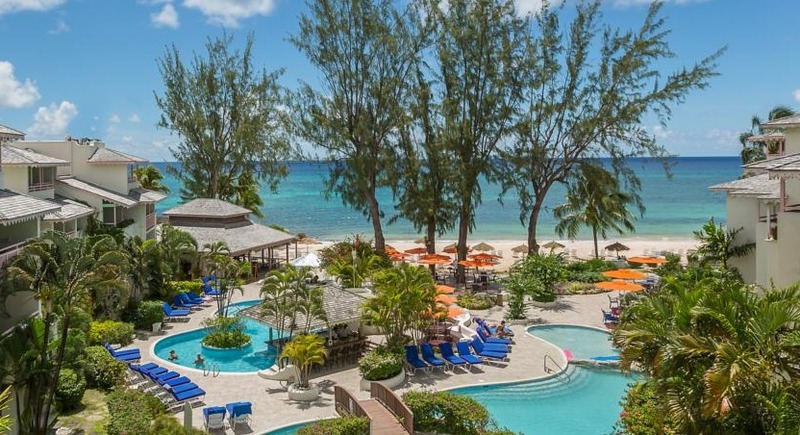 Bougainvillea Beach Resort is located on Maxwell Beach on the south coast of Barbados. The resort features three pools, a full-service spa, two restaurants, a kids’ club, and a water sports hut on the beach. Bougainvillea Beach Resort offers bright, colorful rooms with a private balcony or terrace. A flat-screen cable TV, fully equipped kitchen with granite countertops and Wi-Fi are included. Lanterns by the Sea restaurant serves breakfast, lunch, and dinner. There’s live entertainment, and theme buffet nights. Water’s Edge restaurant is the perfect spot for afternoon tea and cocktails. 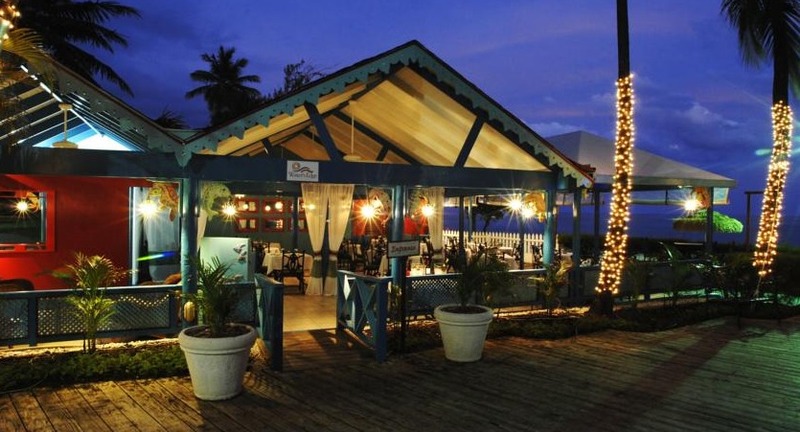 There’s also a pool bar featuring rum punch, local beer and more. Water’s Edge is the perfect place for afternoon tea or evening cocktails. There are plenty of activities for kids, including a kids’ club with arts and crafts, storytelling, and board games. The resort has a game room with air hockey, pool, table tennis, foosball and mini basketball. Fly into Grantley Adams International Airport, Barbados (BGI). The resort is about 20 minutes from the airport. Visit Bougainvillea Beach Resort’s website for more information.